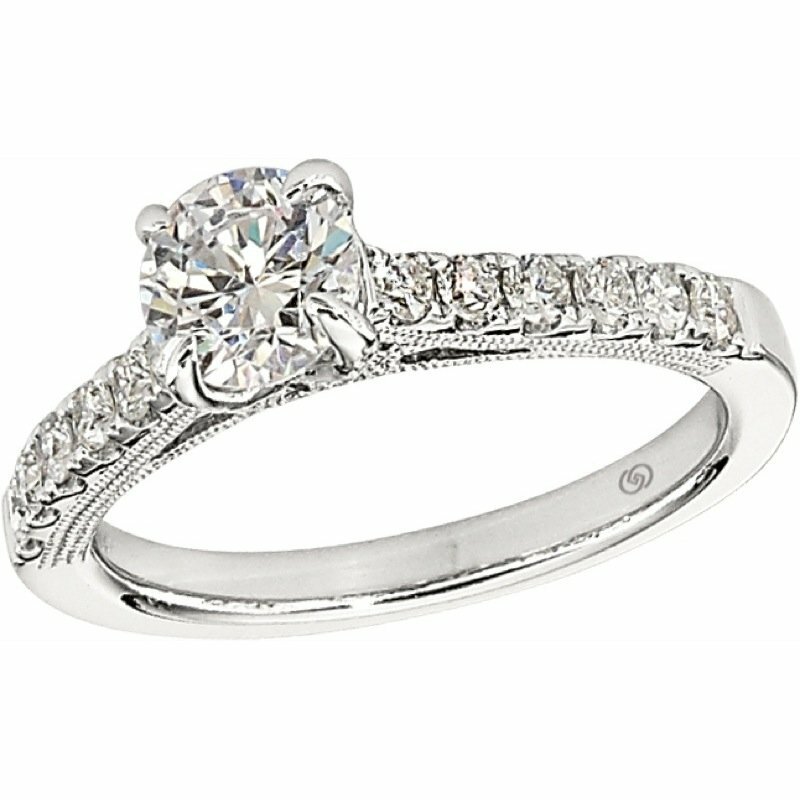 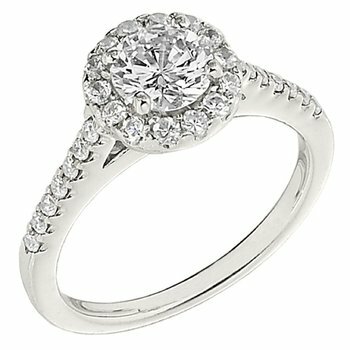 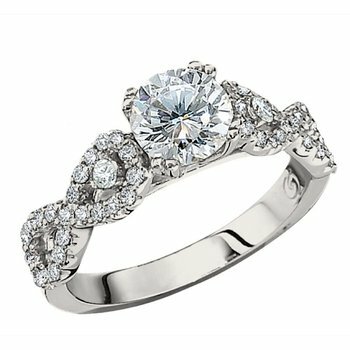 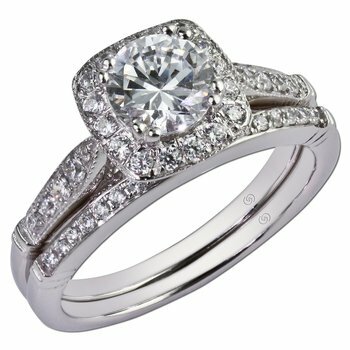 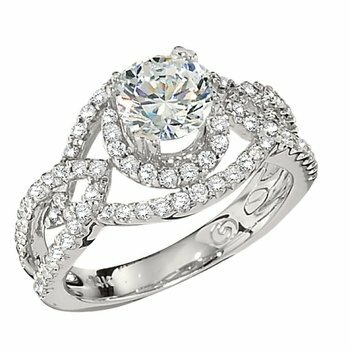 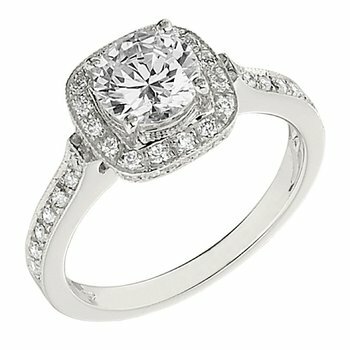 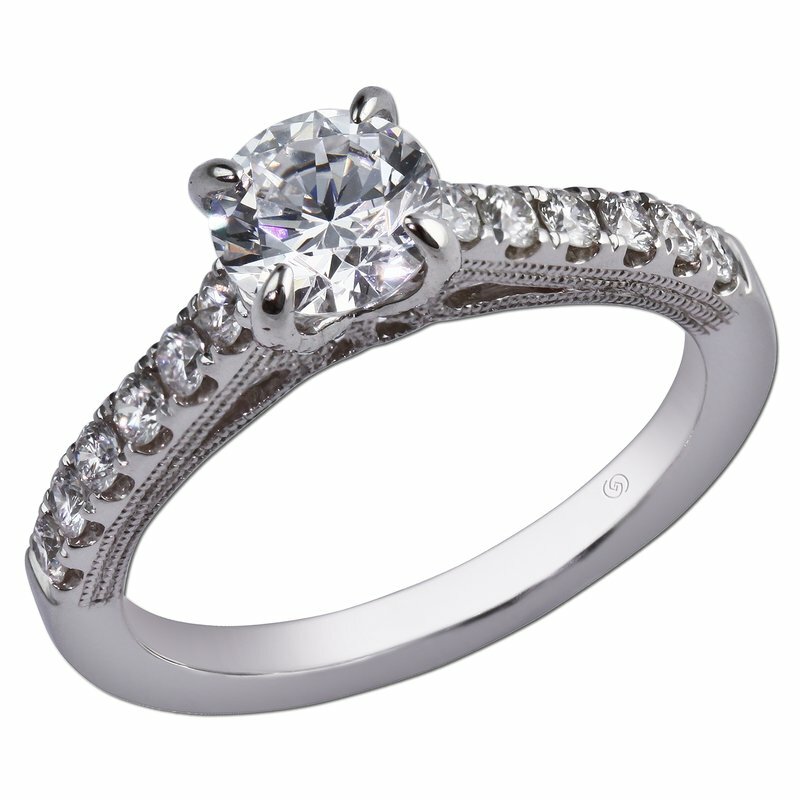 Stunning engagement setting has diamonds split prong set lining the cathedral shoulders, meeting an eagle claw prong head, with diamonds set into the prongs, adding a beautiful touch. 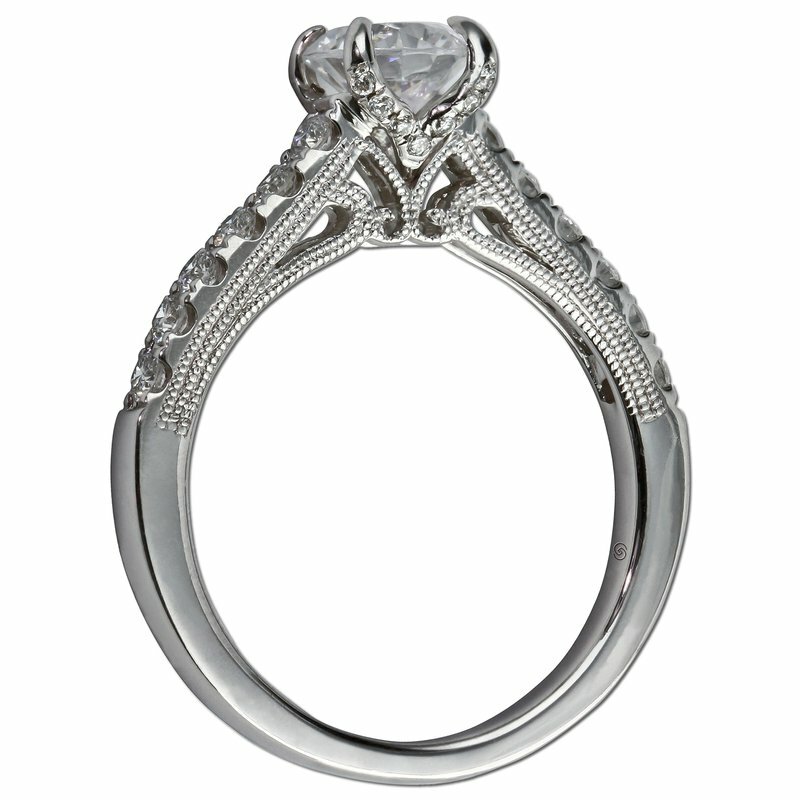 Filigree in the gallery lined with beadwork extending onto the sides of the shoulders adds a vintage touch. 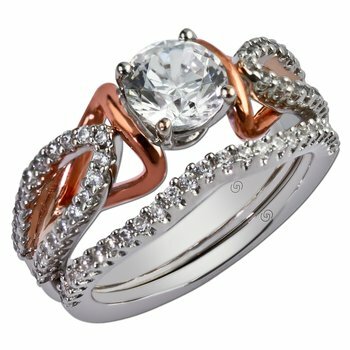 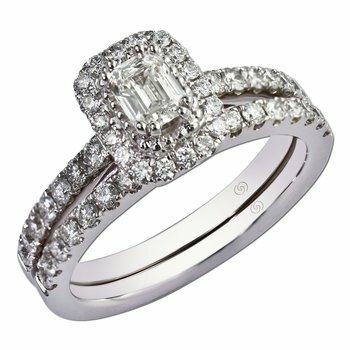 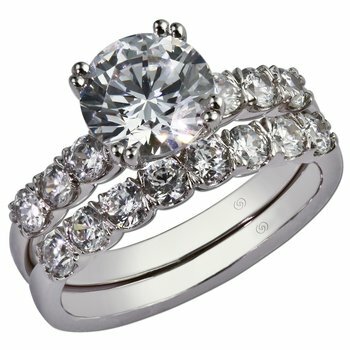 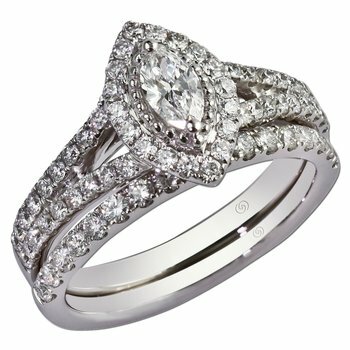 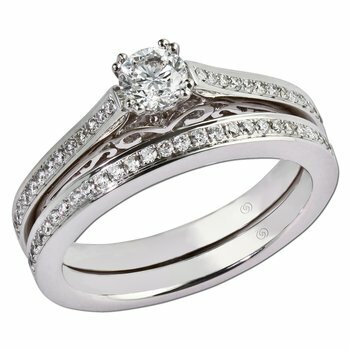 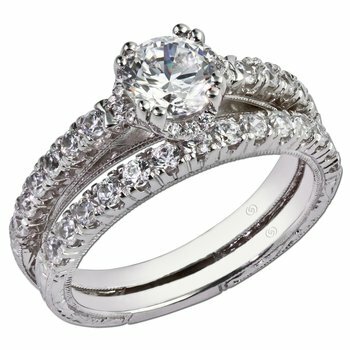 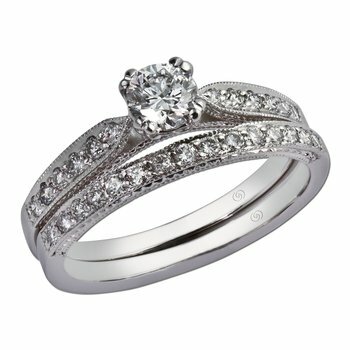 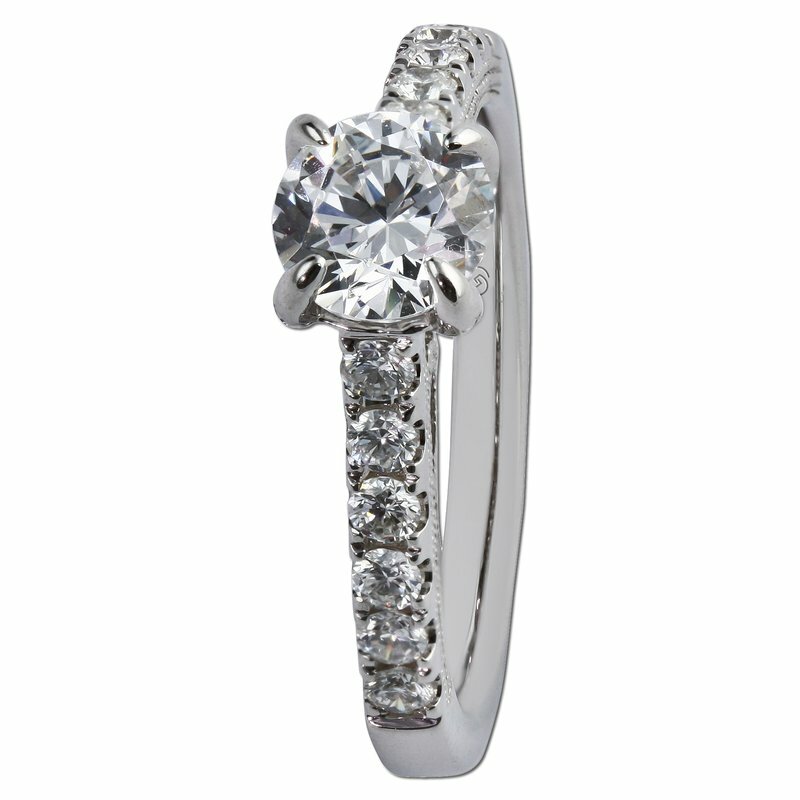 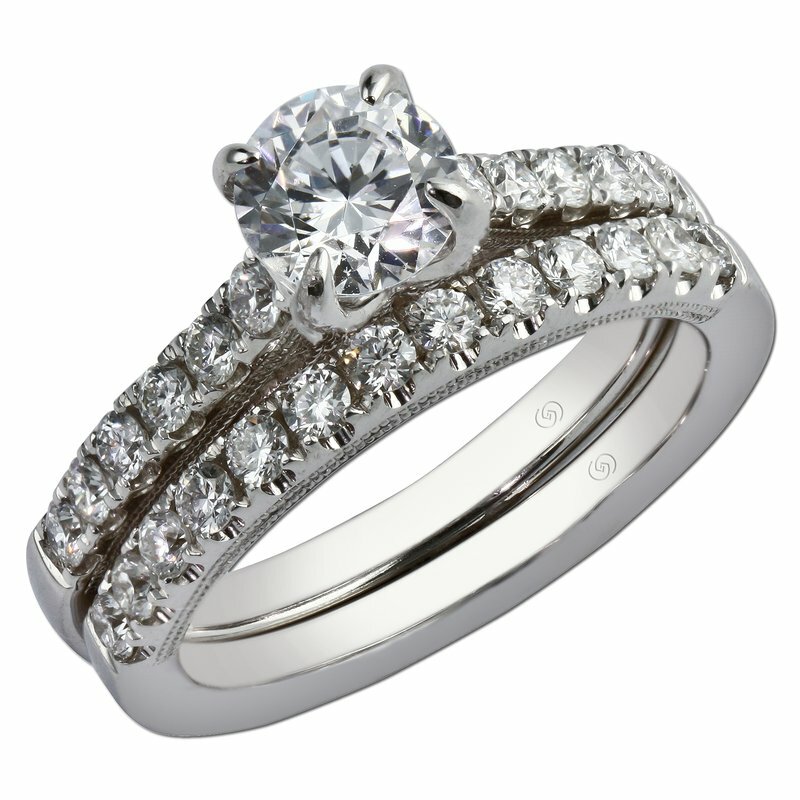 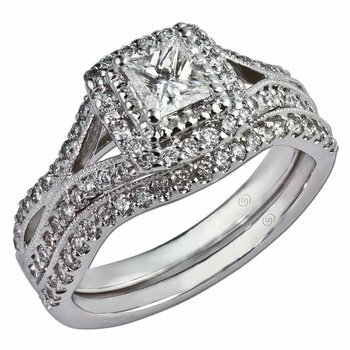 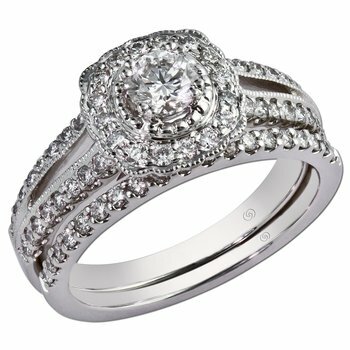 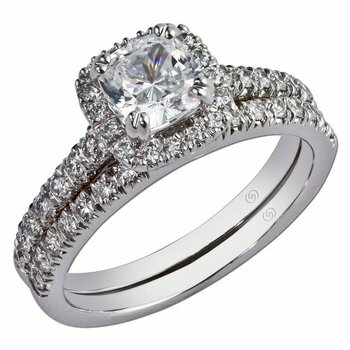 The wedding band is a row of diamonds set in split prongs, with beadwork lining the sides of the ring, matching up perfectly with the engagement ring.